Bula! Have you finally settled on the perfect Fiji holiday package for you and your travel companion(s)? Counting down the months, weeks, days until jetting off to your tropical paradise and luxury escape? Panicking about what you need to bring? Don’t waste a second stressing out about what should accompany you on your Fiji getaway. All My Fiji holidays come with substantial baggage allowance of 20kg per person checked luggage and 7kg carry on, so there is plenty of space for your entire wardrobe. But trust us, you won’t need even a portion of what’s hiding in your closet. Fiji is a tropical destination with a climate to match. Average temperatures in Fiji are a mild 25°C throughout the year, with highs reaching up to 30°C and lows sinking to 18°C. Rainfall may dampen the ground but not the temperature, so even rainy season sees warm days with cool evenings. Since all My Fiji Resorts are located on the waterfront, night time temperatures can drop with the accompanying sea breeze, which is the same if you’ve chosen to go all out and cruise around the islands. With the warm weather and laid-back atmosphere, dressy clothes are not a necessity, nor are thick, heavy jumpers. My Fiji Holiday Experts recommend lightweight, breathable clothing that can keep the sun off your shoulders during those lazy beachside afternoons. A sundress or two for evening meals at the five-star, on-site restaurants can be packed but aren’t essential, as there is no taboo wearing shorts and a top. If your holiday plans include sightseeing to some of Fiji’s temples, it’s recommended to bring something more modest, for men and women, to show respect when visiting the sites. What the girls should bring: one or two light dresses, skirts or sarongs, two or three tops with and without sleeves, swimmers, thongs, a light cover for your arms (long sleeved blouse, for example), a pair of light jeans for the evening, and a pair of shorts for any adventure activities planned. What the guys should bring: a couple pairs of shorts, t-shirts and singlets, swimmers, a light pair of jeans for the evening, a lightweight top for cooler evenings, thongs and some light shoes to wear with jeans for a fancier dinner. Everyone should ensure they have a hat, sunscreen, light rain jacket or umbrella (just in case! ), sturdy and broken-in walking shoes or sandals if you plan on doing a lot of walking or hiking, and, of course, any necessary toiletries. If you’re planning on hanging out by the pool, thongs will suit just fine. Bear in mind that all resorts provide guests with beach towels to use at the resort swimming pools, shampoo, conditioner and body wash. There are small markets where it’s possible to obtain aspirin, Band-Aids, condoms, tampons and baby needs, however it’s recommended to bring these items from home to get the brand you require and to save money. Any prescription medicines should be packed with their labels. Visits to local villages with kids inspire visitors to donate various gifts, so if you are feeling generous perhaps arrive carrying pens and pencils, crayons, pads of paper, books, rubber balls for catch, toothbrushes, toothpaste or anything education related. It’s not encouraged to hand out lollies as not all villagers have access to proper dental hygiene. Remember that less is more, and it’s likely you’ll do some shopping during your Fiji holidays and pick up a beach towel, local beer-emblazoned t-shirt or a new pair of board shorts. 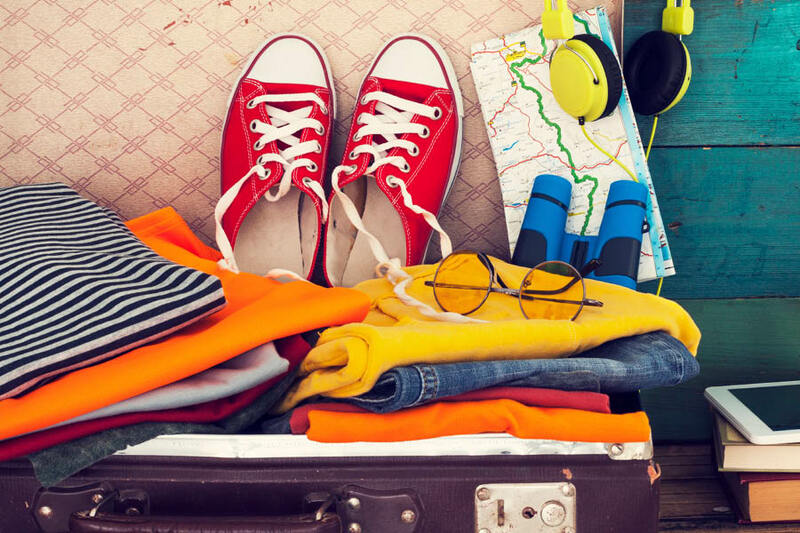 By leaving yourself plenty of room on the way there, it means more space to bring souvenirs home! If ever in doubt about what you should or shouldn’t bring, don’t hesitate to contact a friendly My Fiji Holiday Expert who will assist with any questions you may have.